I used to stay here a lot before early morning flights but service has degraded significantly over the years. My last two stays were revolting, and I currently have Gold status. 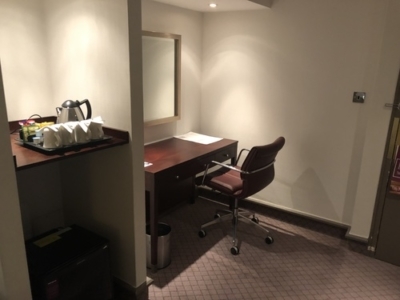 We’re talking dated rooms that look nothing like the one pictured here and indifferent service. 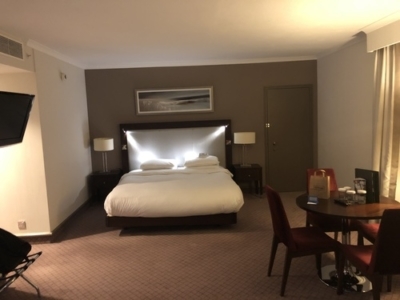 One of the rooms I was allocated recently had a broken AC (-1 degrees weather outside) and they initially refused to move me as they didn’t have a room available in that same category! As I was effectively freezing in the room I packed my bags and went to reception ready to check myself out. Eventually I was given another room, but very little in the way of apology etc. I was never given access to the Executive Lounge, even as Diamond. I cancelled my last stay last week and instead spent £59 for a basic room in a nearby hotel, 10’ drive but a lot more honest service. Hah! Good for me then. Thanks for te review Rhys. Thick duvets drive me absolutely barmy. My answer is to turn down the AC to 18 degrees. This in turn drives my wife barmy who sneakily turns the AC off when I’m asleep. Cue me waking up at 2am covered in sweat. At home I have a thin duvet and she has a thick one. Given that hotels cater to guests with different tastes I suggest they should provide three thin duvets – then she who prefers more can use two. 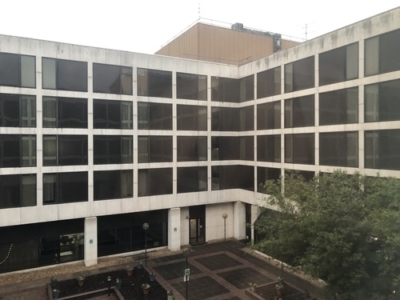 The Marriott Courtyard is also in easy walking distance of the South Terminal. Yes, we’ve stayed there a couple of times – a family room for 20k Marriott points (I think it’s actually fewer now). 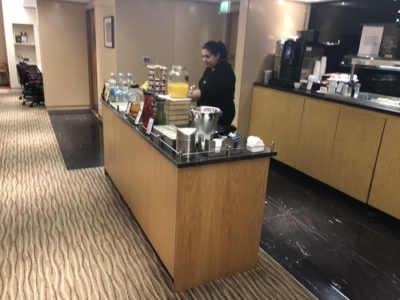 No free breakfast but we get that in the airport lounges. Meet and greet parking met us at the hotel on arrival to avoid hotel parking costs. Pain au chocolate on the same page as a cooked breakfast? No Rhys!! Thanks for the review, I’ve always managed to get decent rates for the Premier Inn at the North terminal so that’s my go to even with the awful lift situation. Rhys is still young enough for this to be okay! In Hawaii for breakfast I had basically a cheeseburger inside a croissant. It was amazing. Well the French put cheese and ham in croissants so why not? Not just the French – the Cheese shop in Liverpool street station does fantastic ones! It’s fine, the whole point of a buffet is that anything goes! Similarly, if you can fit your mains and your pudding on one plate it saves you queuing up a second time lol. Stayed there a few times, bit of a rabbit warren isn’t it? Last time was courtesy of BA as they delayed our return home from the Rangali (just for you Mike), nice dinner & breakfast on top of the EU261 compo. Currently in Manchester Hilton Airport, this place has the same look and feel, rooms could do with a revamp. About to go try out the breakfast. Breakfast at Manchester was good, nice omelette made to order. Also no smoked salmon by default, however I made a simple request for some and it appeared on a wee plate by the time I’d returned from the buffet to my table. That sums up Hilton Hotels for me, a strange mix of old and new, and always thinking they’re much nicer than they are. Give me a nice modern Hampton any day. Have stayed here a few times for early flights. Only experienced the Executive Lounge once, it was an upgrade, but found it quiet and not unpleasant. The rooms are OK, sometimes a bit jaded. I have always had good service. I tend not to have breakfast (I get something in the airport lounge). I once got a room for 19000 points, but expect to pay between 25-30,000. I stay here frequently. 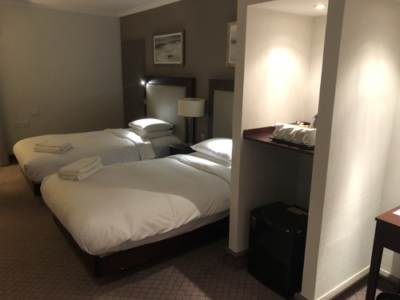 As a Diamond – I usually get an “upgrade” to executive in the new wing, which is much nicer than the old wing but I’ve never received anything bigger, like the family room Rhys seems to have got. 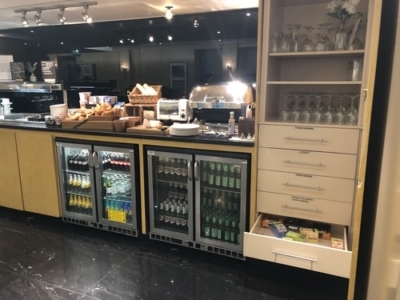 The breakfast IMO is one of the wider selections available in UK Hiltons and it starts at 0530 unlike the lounge which only opens at 0600. Executive rooms usually have 2 water bottles already but reception still gives me another 2, and once a further 2 bottles were delivered to my room, so that time I had 6 of which I drank 0, since they can’t exactly be taken through airport security. The new wing *is* nicer, but it’s miles and miles and miles away. I’ve never managed to get a room within 10 minutes of reception! I stayed in this hotel 2 weeks ago. The banging off doors drove me mad but it’s a particular bug bear of mine. It’s a typical soulless airport hotel a bit shabby but fine for a pre flight stay. I thought the breakfast was ok a good choice. 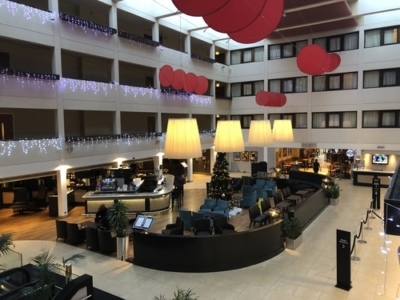 Have also stayed at the doubletree Hilton’s at city airport that’s a lot more modern but is so hot it’s uncomftable. I thought I saw a hotel in Gatwick South terminal but can’t remember it’s name. As a side note and not something a young fit person wouldnt even notice. But if you need wheelchair assistance you can arrange to be picked up in reception just ask conceiage or reception to organsise. It might be useful info for someone, as it is a long walk. There is also a phone at entrance to call for help if you require it. 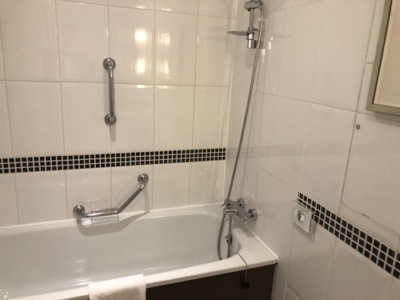 Also stayed at Hilton near LHR terminal 3 last Monday now that is shabby, the bath is so high no chance of any one with dodgy hips being able to use it safely. For some reason all I could smell was onions and I could hear the people next door. But again for a 6am flight it was ok but I doubt I would book again as I couldn’t use shower unless I book disabled room. Next round of CL lol Enjoy Thursday nights. @Spurs Debs: There are both the Yotel and the Bloc inside Gatwick South. The Bloc hotel has some compact but very pleasant rooms with cool views over the runway. The Yotel’s rooms are windowless prison cells that you would have to be mad to stay in. Neither has a food offering but not a problem as they are in the terminal, so 1 min walk to multiple food options. 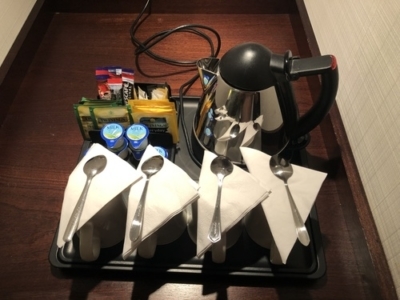 Related as airport hotel – stated at HIX T4 on Thu night. Checkin was chaos thanks to lots of BA pax being booked in (I’m guessing cancellation due to French ATC strike?). Room key didn’t work to open door, so had to schlep back down again! Spire drinks and snack voucher provided (as well as 300 points, think that was a mistake!). Room decent with plenty of USB and power sockets, good shower, good soundproofing. Walk back to T4 didn’t take long but unfortunately then found a massive bus queue (couldn’t get in the first couple of buses) so decided to cut our losses and head for HEX. Turned out (as we subsequently discovered) there was a fire alarm in T5 HEX/Underground station, so then stuck at Heathrow Central bus station waiting again for another bus! Mobile BP didn’t work so had to checkin at desk and they had to phone for authorisation given 43 min before flight! 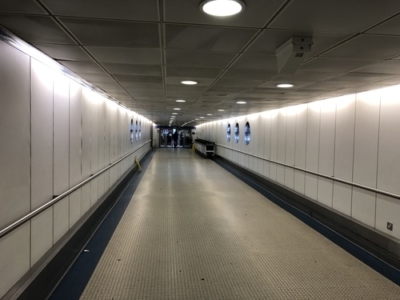 There is actually a short cut to the Gatwick HIlton which saves the need for lifts – after crossing over the roadway into the car park building just stay on the same level and walk through the ‘Premium Gatwick’ parking Bay towards the back wall. 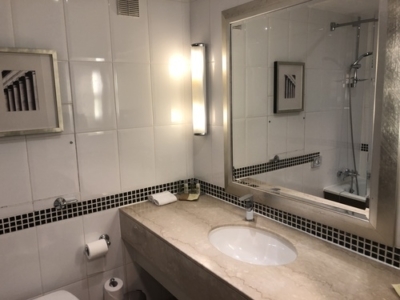 Just before you reach it, on the right there is a double door / fire exit which you go through and then turn left – you are magically already half way up the long ramp featured in this review and closer to the Hilton entrance. 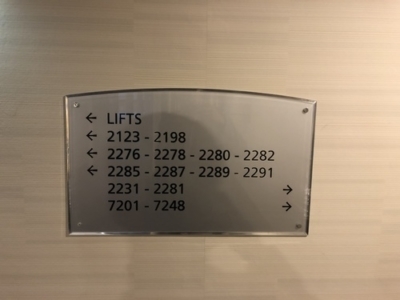 All on the same level, no queuing for lifts or doubling back involved. Does this shortcut still exist? I though I’d read that it has been blocked off, I think by alarming the fire doors. 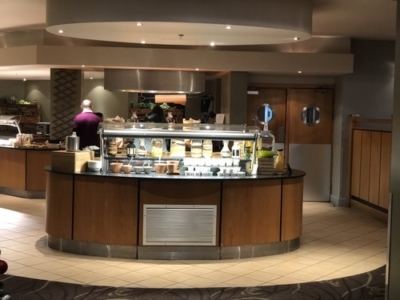 Stayed at the hotel a couple of years ago and was very impressed with breakfast in the restaurant – staff were just going the extra mile & were really cheerful. 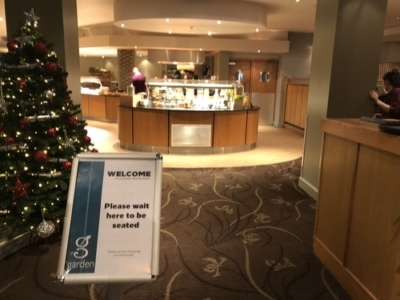 Nope – see my longer comment about the idiotic management…..
Its been boarded up – for no real reason – hotel blames GIP as they own the carpark…. Thanks for the update on this – you’ve saved me from an upcoming embarrassing backtrack with the in-laws in tow! I agree with it being a maze, but if one is coming from the airport terminal (which includes from the train station) one can go across at the Terminal Level, and then *down* one level in a lift, rather than going down to road level and back up. The downstairs restaurant looked so bad, and the one in the lobby so expensive, that I took the long walk to the terminal for something less bad in the Wetherspoons. I’ve stayed at this Hilton twice this year (and Hilton is not a personal preference). Both times, the hotel was very busy and Reception nowhere near manned sufficiently, causing extended waits to collect room keycards. I’d already checked in via the HH app, so it was quicker for me than others. Even then twice a I had to return to get the cards recorded as they stopped working.. I was in the newer wing, so had a significant walk back each time. 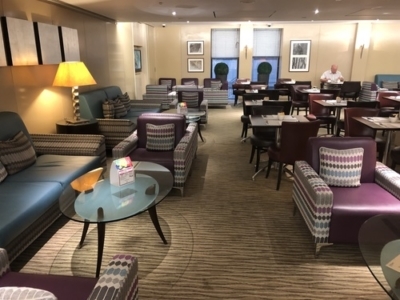 If you’re Hilton Diamond, you can check in and check out at the Executive Lounge, saves a lot of queuing! Just left this hotel last yesterday after a one night stay. I thought it was your typical dated airport hotel that doesn’t need investment as such because it serves its purpose to what it is. I know that sounds rather simplistic but we have countless others that are exactly the same and not just in the UK. They live on being convenient. Pleased I redeemed points instead of the £149 cash rate. Would never pay more than £80 for this hotel and that would be purely down to convenience. Our room earlier this year on a so called Diamond upgrade needed a serious update, they left the heating on so high we needed to use the air con all night to bring it back down to a comfortable temp. I believe there is a new section which may have more modern interiors but for all its bad points, its location is brilliant and breakfast was a pleasant experience. I stay here a lot. I prefer it to the Sofitel and the Premier Inn. I’ve always been upgraded both formerly as Diamond and now as gold. I was upgraded even when I stayed using Iberia Avios from the recent 90k bonanza. The bar is ok and IMHO it’s easier to get food than the Sofitel. The exec lounge is always full with the usual hordes massing around the free drink. It’s ok basically. Much cheaper if you book well in advance.